Everybody wants to know what (T.U.C.K) stands for ? T.he U.n C.rowned K.ing , 25 year old inspiring artist from a small town called Hardeeville SC.T.U.C.K has over 130 plus mixtape features with Teambiggarankin , coolrunningsdjs , fleet djs , asapmoneygang , 25/8 Mixtapes , MMG Djs ,SHADYVILLEdjs , many more in the past 8 months , Singles :T.U.C.K-Sold One feat. Mulah , T.U.C.K-Grind or Die feat. Slyme Tyme & Total Kaos , T.U.C.K-Nicework feat.JW from CTE, worked with JW from CTE young Jeezy artist and still in communication today about future material ,currently working on a album with 250plus and my very own mixtape Earn My stripes Hosted by:Big Steve Gee. featured on many blog sites , 11 mixtape hostings , currently working with Bigga Rankin and all Coolrunningdjs. 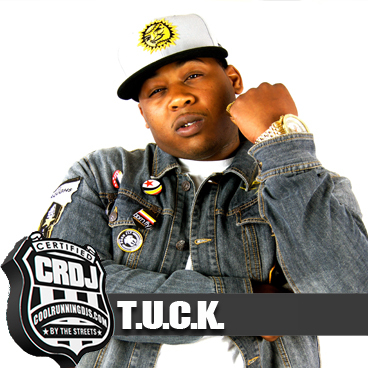 This year 2013 T.U.C.K plans on bringing home an officail Diamond Award not only for him but for the people who supports him.